Another week has just started off and I was just thinking about getting a good foundation which I haven’t done in long time. 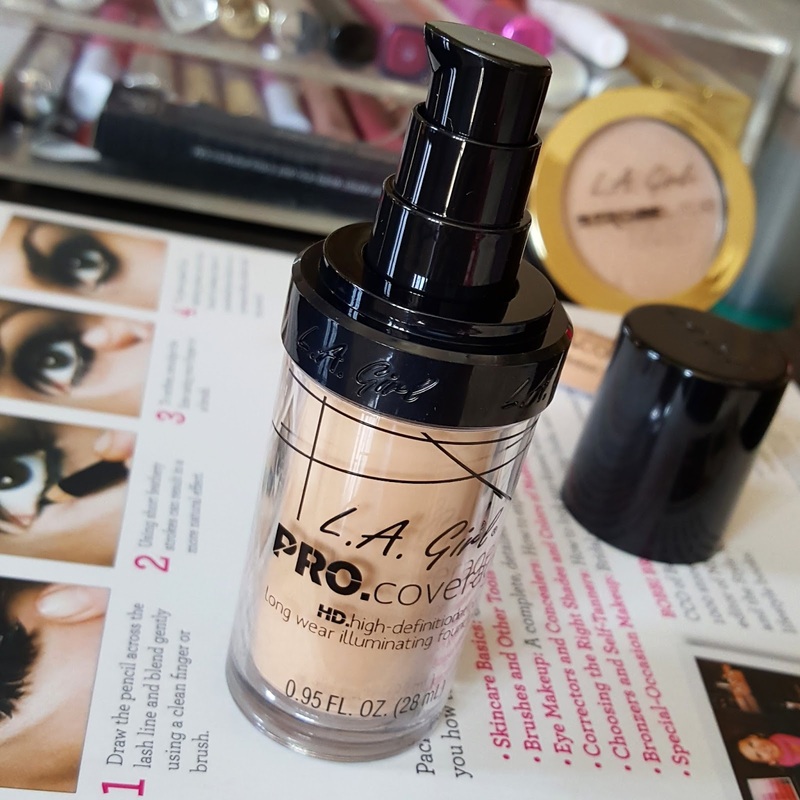 Recently I have reviewed LA PRO HD BB CREAM I am already obsessed with their concealers so I picked up their LA GIRL PRO COVERAGE HD ILLUMINATING FOUNDATION. This foundation comes in a plastic clear bottle with black cap and pump to dispense the products. The packaging to me looks like a makeup forever hd foundation simple and easy to carry. This foundation has a creamy texture which blends easily into skin. Its soft and smooth enough to spread evenly on face and gives almost flawless finish to skin. They have 15 shades in the collection so you can get one according to your skin color. I usually take a 1 full pump of foundation on back of my hand and dab it on my face using beauty blended or a flat kabuki brush. Also I need only 1 pump as I don’t have much acne marks or blemishes to cover. If you have more marks you may need more then 1 pump. 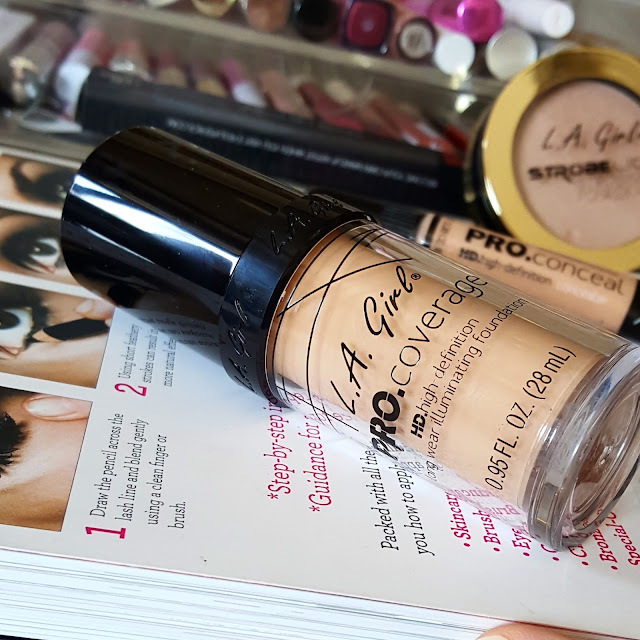 This foundation is liquidy in consistency so its quite easy to apply on face. It’s a illuminating foundation so for a combination skin like mine I have to apply loose powder on tzone for setting the foundation. Also you can use a matte primer. 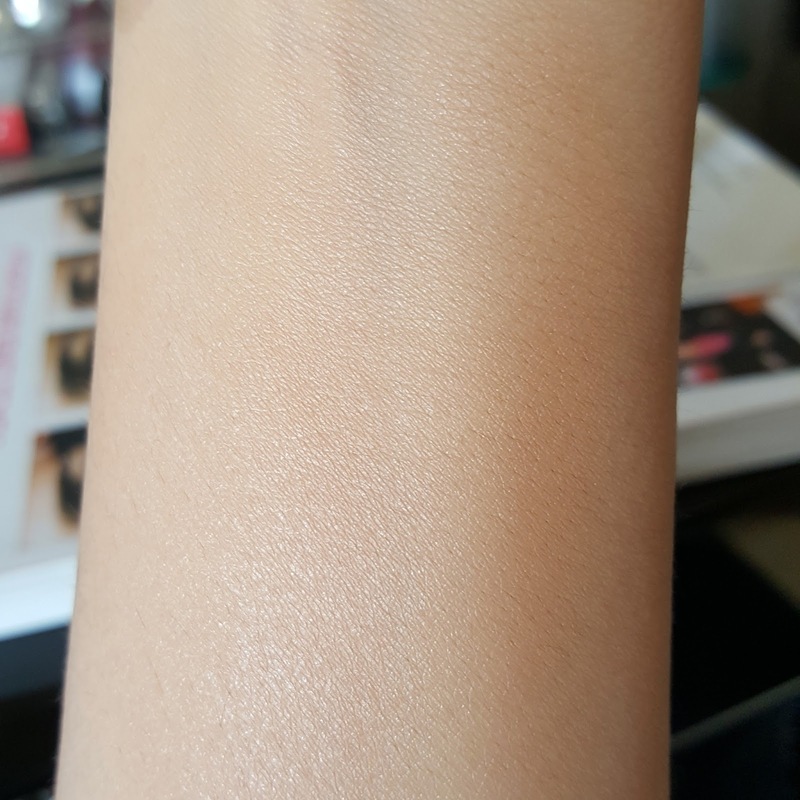 This foundation gives a dewy finish which I personally don’t like for my combination skin. But then I like that it gives glow to my cheeks area. If you have dry skin this is going to give you well hydrated flawless skin. Also it’s a medium coverage foundation you cant really build this product as it can look cakey. Try to use a concealer for covering any blemishes. This foundation doesn’t make me look like greasy or oily but it gives a healthy glowy skin. The staying power is for 7hrs without primer also I noticed the foundation starts melting down after 6-7hrs around the nose area. So I have to set it with a compact or loose powder. 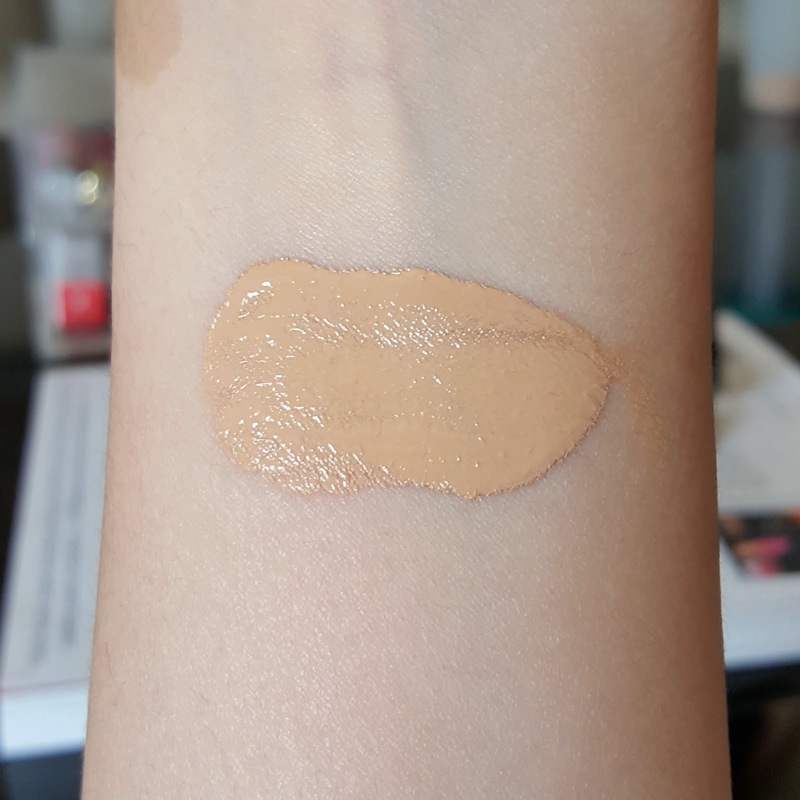 My shade is NATURAL it has a warm undertone and gives my skin natural warm look. I personally didn’t wanted to go one more shade lighter as it can look sometimes too white and pale also it doesn’t blend in well. When I don’t find a perfect match for my skin tone I prefer going for warmer natural tones. It doesn’t contain any SPF and fragrance. OVERALL RECOMMENDED. 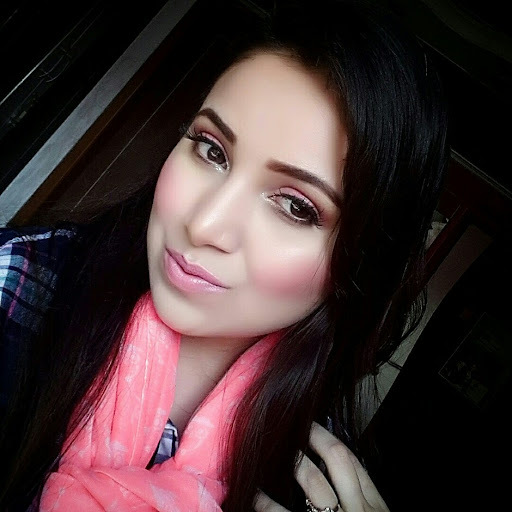 This foundation is great for cold weather but I wouldn’t mind using in summers when you need a dewy finish. They have a good shade selection for warm undertones. 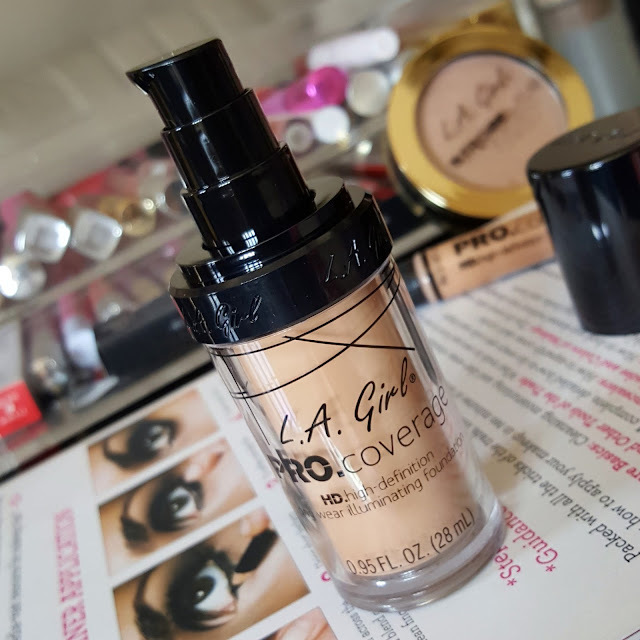 I am happy to use this foundation it’s a light weight breathable and parabens free. 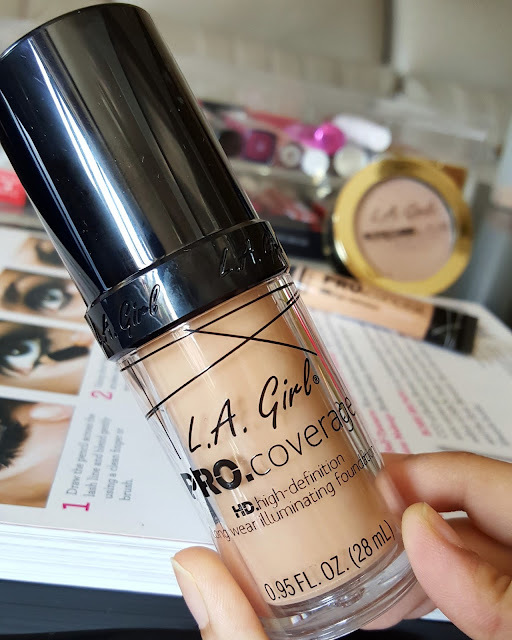 The price is almost similar to L’Oreal foundation or any other drugstore foundation. I am blessed with good skin and coverage is not an issue for me. Normal to dry skin women will love this foundation also women over 40’s may like it. If you have any questions feel free to ask in comments below. I will be happy to answer them. Also you can follow me on Instagram, twitter and bloglovin.